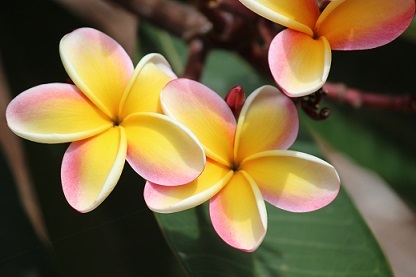 Become an expert in the identification and culture of tropical plants! Some people would think a tropical is a plant that comes from the tropics. Others might consider tropical to also include plants from sub tropical places. This course concentrates on plants which originate from tropical or sub tropical climates, but there may be some plants covered which fit a looser definition of “tropical”. This course provides valuable instruction for both growing plants in warm places or in protected places such as greenhouses and inside homes or offices. Study many of the significant tropical plants including: Heliconias, Alpinia, Hedychium, Zingiber, Musa, Costus, cordylines, palms and cycads, climbers, shrubs, trees, orchids, ferns, aroids and bromeliads, herbs, vegetables and fruit bearing plants, etc. This course also covers: Plant names/classification (scientific and common), climatic conditions, plants suited to your locality; cultural practices: understanding soils, naming a soil, propagation, watering, feeding, pruning etc. Growing tropical plants outside the tropics and indoors - in different climates and conditions. Discover how to landscape with tropical plants and how to use colour and texture; how to select appropriate plants for; how to plan a courtyard and prepare sketch plans. A great course for those working in or wanting to work in this field. What does the term "tropical" mean? What tropicals grow where you live? Plant names/classification (scientific and common). Species, hybrids, varieties and cultivars. Growing Tropical Plants in different climates: tropical, sub tropical, arid and temperate. Climatic Variations; seasons, mountains, savannahs, rainforest, coastal. Gardening for Warm Climates and Microclimates. Good and Bad News about Tropical Gardening. Heat Traps, Warming a Garden, Greenhouses. Understanding soils, naming a soil, texture, pH, fertility, nutrition, feeding. Water deficiency and excess symptoms. Water Dynamics in a Soil. Planting and Plant Establishment Methods. Potting Mixes, Potting up, Caring for young plants. Bamboos, Grasses and Grass Like Plants. Review of other herbaceous tropicals, including: Achmines, Agapanthus, Alocasia, Amorphophallus,Aristea, Babiana, Boophone, Brunsvigia, Caladium, Calaqthea, Calostemma,Clivia, Calocasia, Crinum, Crocosmia, Cyrtanthus, Dierama, Eucharis, Eucomis, Gladiolus, Gloriosa, Zephranthes, Hippeastrum, Hymenocallis, and many others. Turf Varieties for Warm and Hot Areas. Zingerbales; Musaceae (bananas), Strelitziaceae (bird of paradise), Lowiaceae, Heliconiaceae (heliconias), Zingiberaceae (gingers), Costaceae (costus), Cannaceae (cannas), Marantaceae (prayer plants). Types of Palms; self cleaning, cleaning, solitary or clumping, fan or pinnate, etc. Review of many cultivated Palm Genera. Review of many cultivated Tree and Shrub Genera. Review of many selected species characteristics. Climbers; Allamanda, Antigonon, Aristolochia, Beaumontia, Bignonia, Bougainvillea, Campses, Ceropegia, Cissus, Clematis, Clerodendrum, Clitoria, Clytostoma, Combretum, Congea, Ficus, Hoya, Ipomea, Manettia, Mucuna, Pandorea, Philodendron, Scindapsis, Stephanotus, Thunbergia, Trachelospermum. Types of Ferns; Fern Classification and families. Growing Methods; organic, no dig, permaculture, Container Growing, Hydroponics, etc. Culture of Selected Vegetables in tropical and sub tropic conditions. Growing in different climates and conditions. Use of colour and texture. Many are grown as greenhouse or indoor plants anywhere, and some grow outside in protected places in temperate climates as well. We tend to associate these plants with lush growth, vivid colours and a warmth in the air which makes anyone feel relaxed. Just having them around may even psychologically help us to feel warmer. Some people have a dream, an image of an "oasis" to escape the heat, or the problems of daily life. Others want a garden they can use, for entertaining, outdoor living, for children to play in or maybe even a place to keep a prized collection of plants. Whatever your purpose, it is important to plan. Planning never stops either, because a garden never stands still. Try to foresee what will happen in your garden in the future (eg. trees and shrubs which will die, areas that will gradually become more shaded), and plan changes to your garden accordingly. Warm climates all have one thing in common; they get hot during the day. Apart from this they can vary a great deal from place to place. There are places in the sub tropics which can record very cold temperatures at night (eg. Desert areas and high mountains); and there are places which are extremely dry as well as places which are very wet. Generally light levels are higher, and day lengths don't shorten or lengthen to the same extremes that they do in cooler climates. Wherever there is water in a hot climate, humidity can increase. Humidity can be good for some plants and bad for others; and will be greater in wet climates, after rainfall, near lakes and canals, in irrigated areas or around plants which are mulched with moist organic materials. Storms can be more fierce in the tropics. Rain often falls heavier, winds blow stronger, and plants can be badly damaged by cyclonic conditions. Summer, Autumn, Winter and Spring don't seem so obvious in warmer climates. There are really only two, more obvious seasons: the wet and the dry. All of these factors can have serious affects upon the way some plants perform. WHAT CAN YOU GROW EASILY? The best way to know what grows well in your locality is to look around at other gardens in the area, and note what other people are growing most successfully. Many plants grow much faster and easier in hot climates than in temperate areas; but often the diseases, pests and weeds will also develop faster. Some plants listed in this book can in some areas grow so well that they become invasive and turn into weeds. The easiest plants to grow are not always the most vigorous. Remember vigorous plants may require frequent cutting back. Look for plants which are generally resistant to pests and diseases, tolerate adverse conditions, but do not grow so vigorously that they become invasive.